Gut health – flashback to a few years ago and it was a struggle to find anyone to engage in conversation about this topic. Today, it’s the ‘talk of the town’, a topic that has found a place at the forefront – and not before time, in my opinion. With each passing week, a new book about digestive health and wellness seems to appear on the bestseller list, and it’s rare to not find an article in the weekend supplements about the pivotal role intestinal bacteria play in our overall wellbeing. Slowly but surely, the message is spreading that almost everything about who we are and how healthy we are is rooted in our gut. Another hot topic that can’t have escaped your notice is the prevalence of food allergies in children these days. In fact, food allergies have increased by 20% in the past 10 years. It’s a shocking statistic. According to researchers, this increase is due in part to the overuse of antibiotics, a high-fat/low-fibre diet, more processed foods, and formula-feeding instead of breast-feeding, amongst other things. It’s not just food allergies that we’re up against – kids today are suffering more and more from impaired mental health such as ADHD, anxiety and depression, low energy, fatigue, skin conditions such as eczema, and poor immune health. So what exactly is going on? And what can we do about it? At the core of all this is the gut. Processed food and our current lifestyle are disrupting the function of the gut. The gut flora determine if we’re fit or obese; if we have depression or anxiety or not; if we tend to fall ill easily and often; how we learn – and so much more. It therefore goes without saying that we want our babies to have optimal gut flora in order for them to thrive. The early days and weeks after birth are critical for laying the groundwork for healthy gut flora. Our children are dependent on us in their formative years to provide them with the right foods for their developing bodies. It is our responsibility to help them establish and maintain a healthy intestinal environment. Since most of the immune system resides in the gut, there are several things we can do to optimise the development of a robust natural defence system. 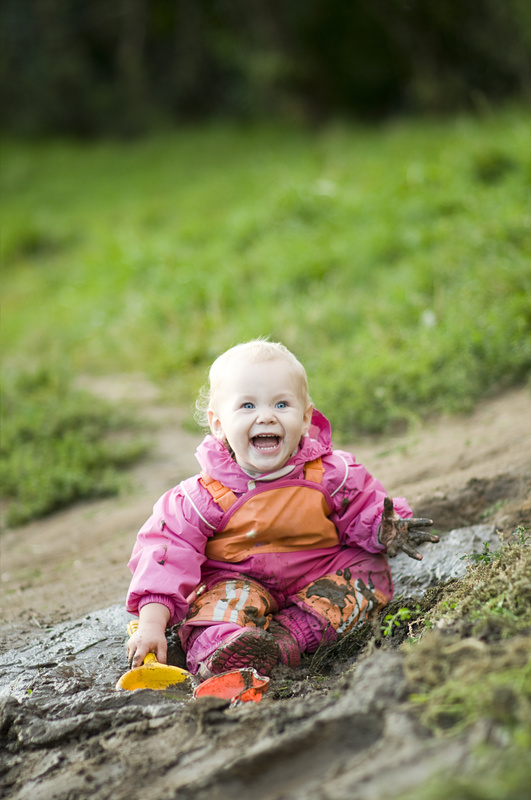 Let them play outdoors so that they get exposure to dirt. Dirt is good for them! It’s full of microbes, both good and bad, and the human gut is primed for constant, low level exposure to these organisms, so let them make those mud pies and sample the odd mouthful of garden soil – you’re doing the gut a huge favour. Besides, children who play outdoors are happier and less stressed – and stress can wreak havoc on the gut. Don’t cave in to accepting antibiotics at the first hint of illness. Yes, antibiotics have a place in our world – they can be lifesavers – but remember that kids are strong, they bounce back quickly from sickness, and more often than not, they’ve picked up a virus, and a virus won’t respond to antibiotics, so give them a miss. Your child’s gut will thank you for it. Sometimes we have to take antibiotics to treat an infection caused by potentially dangerous bacteria, but it is vital that when we’ve finished the course of antibiotics, we take a course of probiotics to replenish the gut. My multi-strain probiotic supplement (Just For Tummies Live Bacteria) will help put back what the antibiotic has eradicated in the gut. When good bacteria thrive in the digestive system, it becomes more difficult for the bad bacteria to grow. When the gut microbiome is well balanced, the digestive system, the brain and the body’s natural defences can all do their job better. Giving your child a probiotic can help promote the growth of those all-important ‘friendly’ bacteria. The Just For Tummies Live Bacteria probiotics are suitable for toddlers and children aged 2+. Simply break open one of the capsules and sprinkle in cold drinks or on food once daily. It is de rigeur in my clinic to recommend anyone with IBS, bloating, non-specific abdominal pain, or irregular bowels – whether adult or child – to add a plentiful supply of fermented foods (sauerkraut, miso soup, cultured yogurt etc) to their diet and I will ALWAYS recommend supplementation with a daily probiotic (in capsule form) for a month or two. 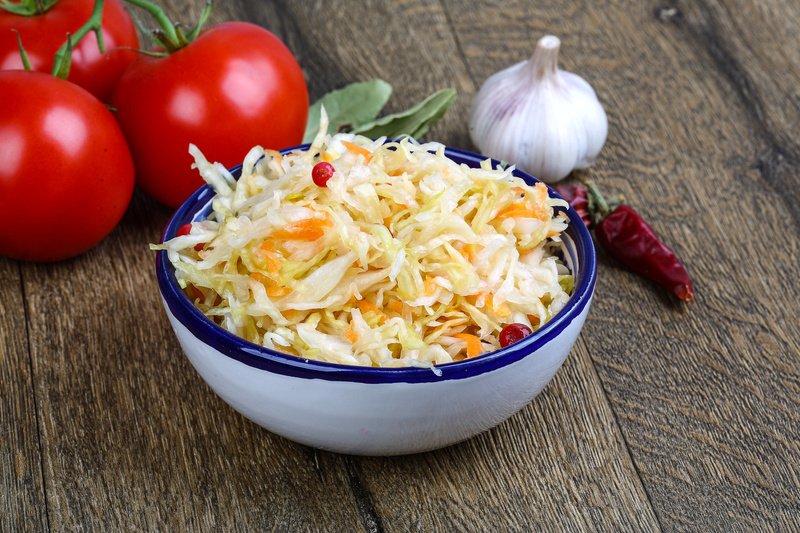 Try giving them a delicious bowl of sauerkraut, full of natural healthy lactic acid bacteria.